It's been five years since Femme de Joie set foot in International House of Pancakes, and that was only because she was in an unfamiliar city for an unpleasant reason and didn't feel up to looking for a decent place to eat. The only memory she carries with her of that breakfast was how horrifyingly, overwhelmingly sweet everything was. Nutrition information is available on the IHOP website, and it was shocking to learn an order of Stuffed French Toast contains 39 grams of fat and a whopping 45 grams of sugar; add strawberry topping and that's another 16 grams of sugar. That comes out to 13 teaspoons of sugar and 350 calories' worth of fat. 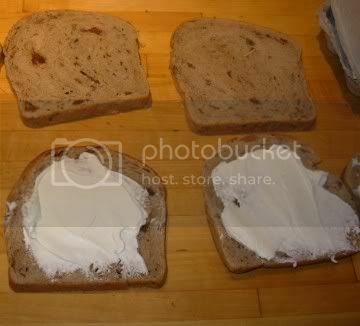 Spread cream cheese on one slice of bread. 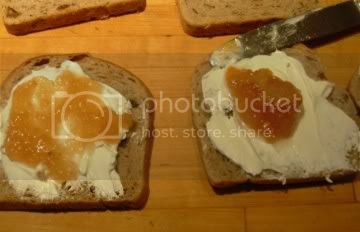 (We used Green Valley cream cheese, made by Rumiano Cheese of Willows - we found it at Grocery Outlet for $1.50 a pound. Luscious.) You don't need much. Top with jam of your choice. Again, less is more. 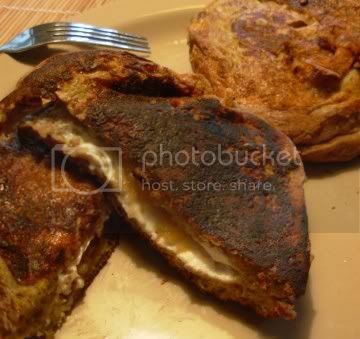 Dip in egg-milk mixture and fry. Voila. 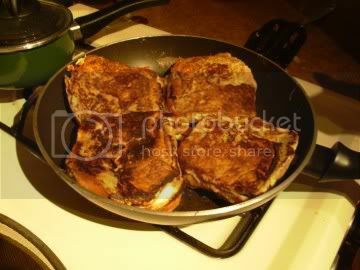 Your own very delicious stuffed French toast, for a fraction of the cost of what IHOP charges and far less sugar and fat. Years ago a local winemaker told Femme de Joie about a call he made to UC Davis to ask what kinds of wine grapes would do well in Shasta County. He was told, "We don't know, but be sure to let us know what happens!" 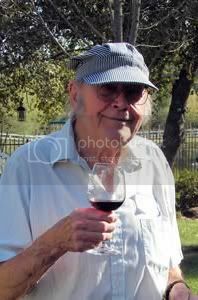 Oscar Matson, as pictured on Matson Vineyards' web site. At a time when the wine industry was rapidly picking up steam in Napa/Sonoma but no one knew if wine grapes could be successfully grown in our blisteringly hot summers, Oscar Matson took a giant step and established Shasta County's first bonded winery. Femme de Joie only met him twice but was impressed with his kindness, gregarious nature, generosity, and knowledge of, it seemed, just about everything. He was a memorable personality who greeted us at Matson Vineyards with a shout and expansive wave from his balcony and gave us a tour of the vineyard. He quizzed us on our wine knowledge as we tasted, and bubbled over with information about growing grapes, making wines, and tasting. Matson led the way for the burgeoning wine industry here in Shasta and surrounding counties. Yes, it would have come about anyway, but someone had to take that leap of faith and be the first to prove good wine could be made here, and that someone was Oscar Matson. Godspeed. Oscar Matson died Jan. 17, 2011. He was 88.